uPaint Summer Camp project classes will be held from 1pm-3pm. Sign up for the number of days/projects you would like to attend and only pay for those days. Cost – 1 day - $35, 3 days - $90, 5 days - $140. Register today online - click for details or by calling the studio location of choice. 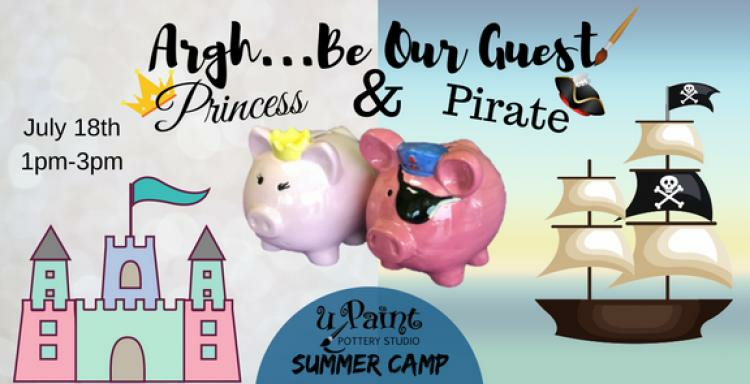 uPaint Pottery Studio is a paint your own pottery studio located in Plainfield (317) 406-3072, Greenwood (317) 893-5700, and Hamilton Town Center (317) 773-4880. For more information, visit us on the web – click for details.